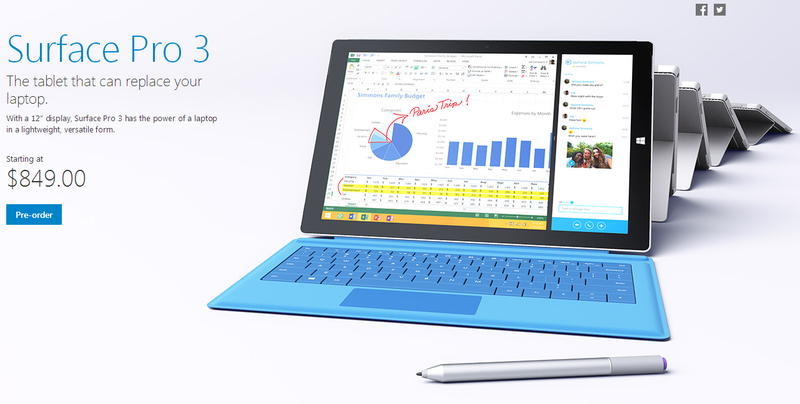 The Surface Pro 3. via Microsoft.com. Prices in CAD. Click for more info.